Product Type: The Proposed Phase II for Vantage Lofts and Flats was recently approved by the City of Henderson, Nevada as a master planned development generally containing three 4-story buildings inclusive of two 32-unit buildings and one 52-unit building for a total of 116 units together with various top-tier amenities including controlled perimeter access, clubhouse, fitness center, swimming pool, spa, covered parking, storage lockers, along with related landscape, hardscape, and waterscape elements to be developed on approximately 3.77 net acres of real property situated west of the Southwest corner of Gibson Road and Paseo Verde Parkway in Henderson, Nevada (the “Project”). Prior to March 2017, Vantage Phase II was limited to only one 40-unit building and three Townhomes. Location: 201 South Gibson Road, Henderson Nevada 89012 – Situated on an acropolis in East Henderson, the Project has phenomenal views of the Las Vegas Strip to the north, along with a backdrop of nearby mountains to the immediate south and west. Only ten minutes from the Las Vegas Strip and McCarran International Airport, Henderson is home to an affluent bedroom community boasting many high-priced master planned communities, along with substantial employment, shopping, dining, and recreational amenities. 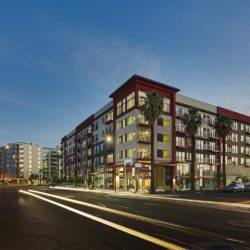 Opportunity: In 2016, Tilton Development was approached by the Bascom Group, the current owner of Vantage Lofts and Flats, who had expressed an interest in pursuing a rezoning of Phases I and II. 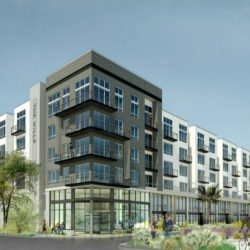 Tilton Development was hired to assemble the strategy, coordinate, and supervise the entitlement and design of Phase II which included a rezoning of Phase I and II from RM-16-MP-PUD (Medium-Density Residential with Master Plan and Planned Unit Development Overlays) to RH-24 (High-Density Multifamily Residential) and the completion of the preliminary design for Phase II which included the proposed unit mix, apartment and clubhouse building types, height, configurations, building materials, site plan design and amenities, grading, drainage, parking, landscape, hardscape, and waterscape. Approach: Tilton Development worked with a local land use attorney and architect along with the City of Henderson Planning and Development Department to provide the requisite documentation to affect the zoning change. 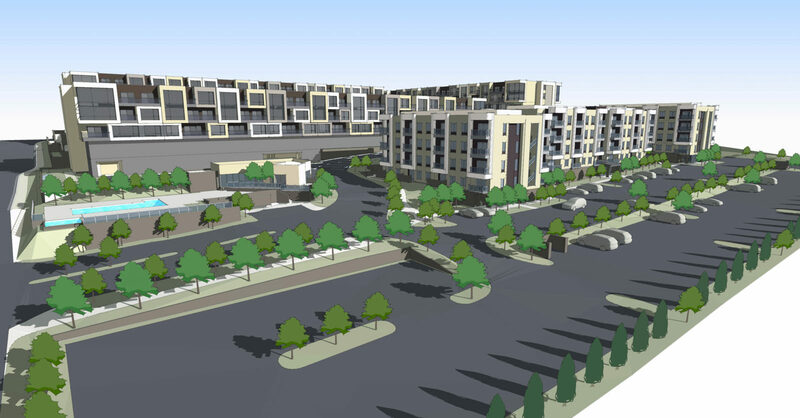 Outcome: The City of Henderson granted approval of the zoning change for Vantage Lofts Phases I and II on March 7, 2017.